The Polish government had been intent on its EU funded Via Baltica expressway passing right through the stunning river valley in north-east Poland. 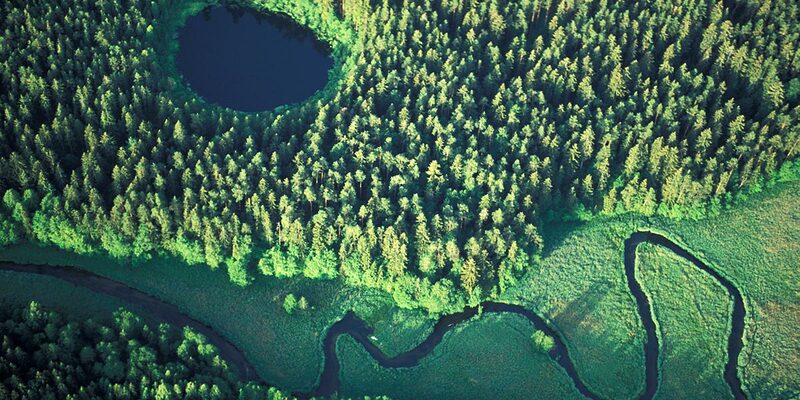 Rospuda is a Natura 2000 site protected under EU law, is host to a vast array of wildlife and plant species, and is regarded by many in Poland and across Europe as a natural treasure. 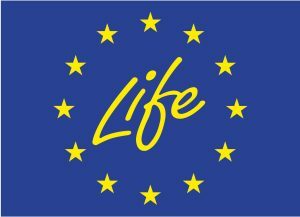 Under pressure from a high profile public campaign in Poland and from the European Commission, the Polish government finally saw sense in 2008 and cancelled the Rospuda road crossing. An alternative, more viable routing for the road was put forward in 2009. 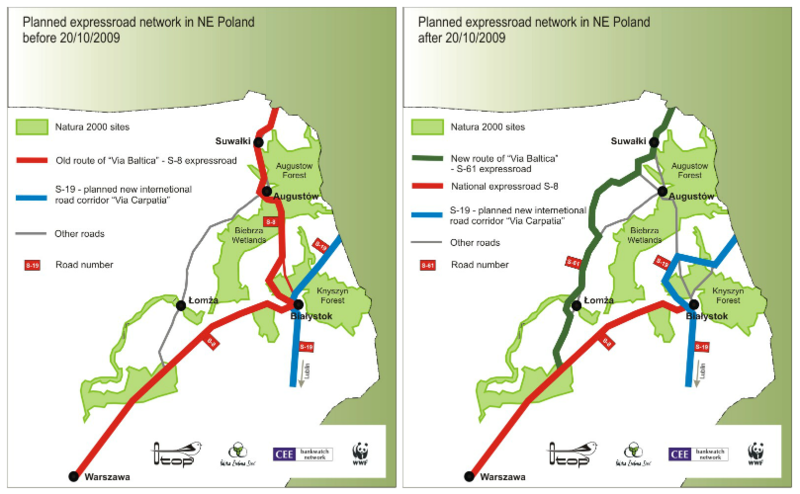 The original route (left) and the alternative proposal (right) that avoids cutting through the forest. Bankwatch’s member group Polish Green Network played a central role, for instance helping to devise plausible alternative routes in order to avoid damaging the valley. They were also integral in taking the case to decision-makers in Brussels, where Bankwatch’s long-standing monitoring and understanding of the EU funds allowed us to leverage official concerns about sharp environmental practices on the ground. The Rospuda victory should serve as a wake-up call to governments and road-builders around central and eastern Europe that badly conceived, haphazard projects that endanger the region’s natural beauty will not be tolerated. Bankwatch’s ability to bring reliable evidence from central and eastern Europe to decision-makers in Brussels is a key aspect of our work. You can increase our capacity to do advocacy work based on grassroots information. Consider donating to Bankwatch.